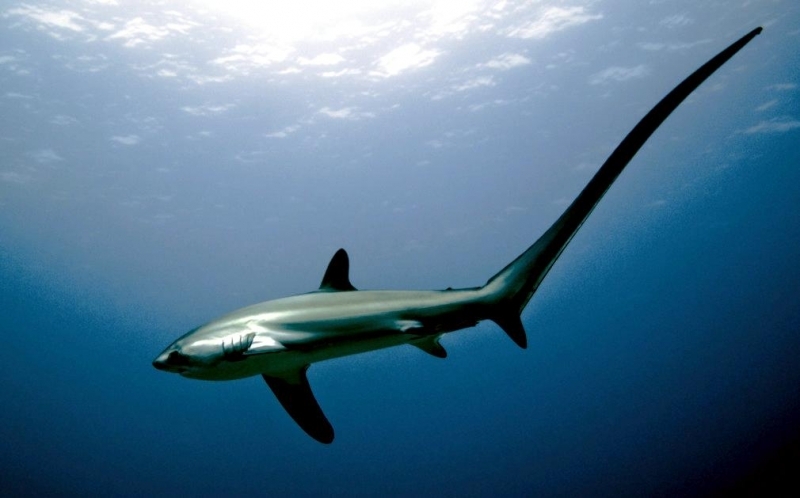 Thresher Sharks are easily recognizable because of their long caudal (tail) fins which equals about half the total length of their body. 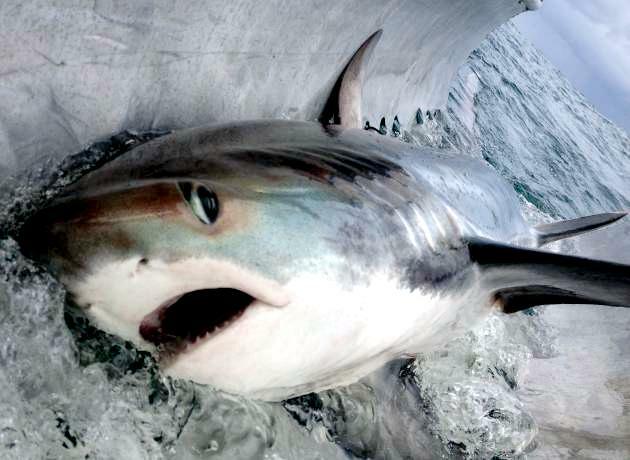 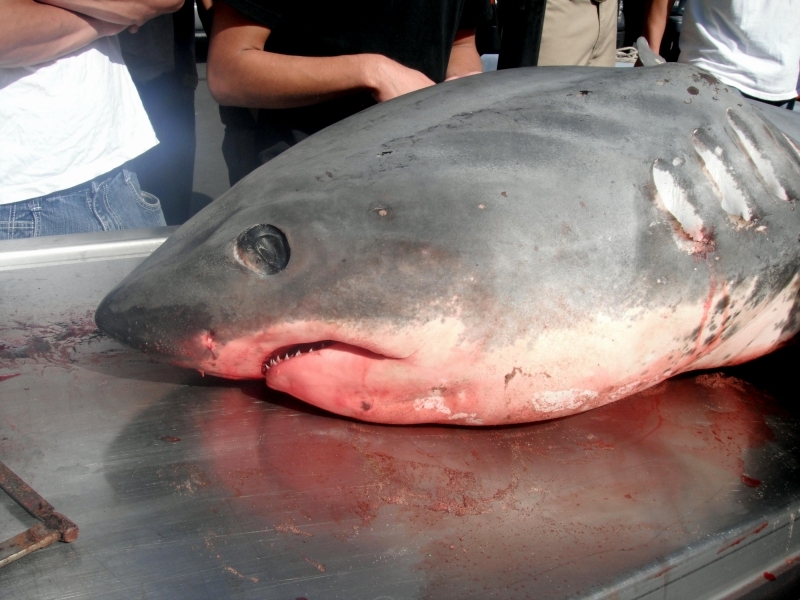 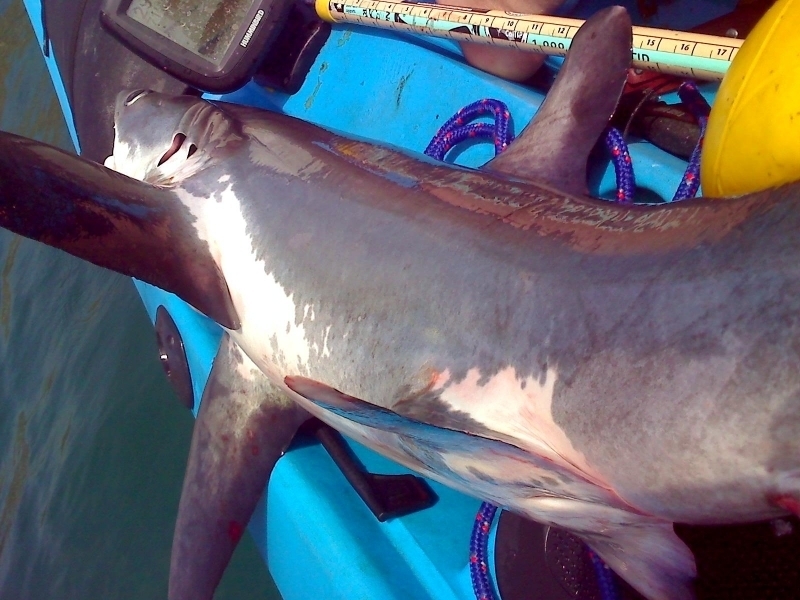 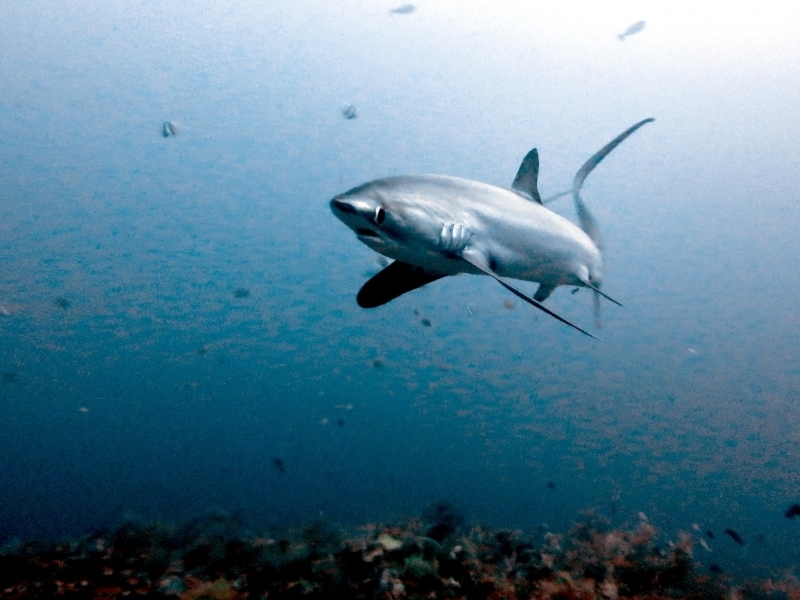 This shark also has a very characteristic dorsal & pelvic fins. 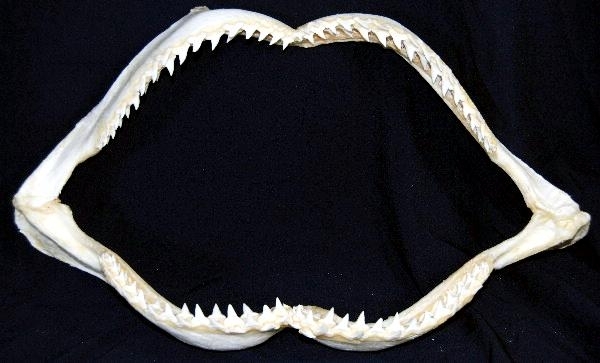 These sharks’ teeth are small, curved, smooth and razor-sharp. 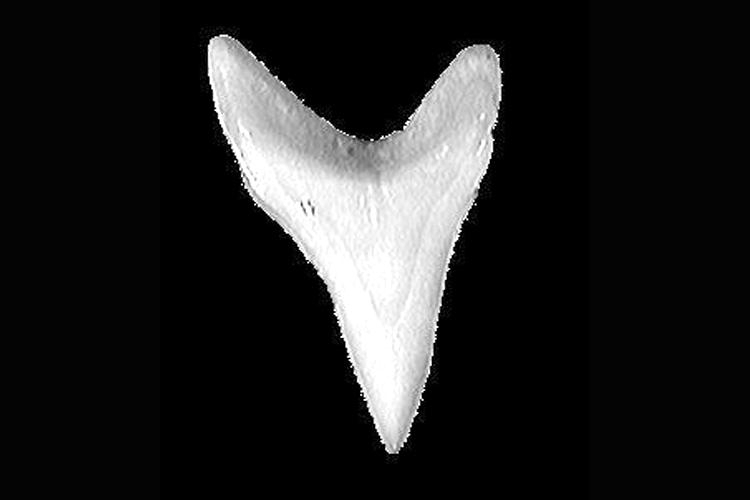 Their teeth are similarly shaped in both the upper & lower jaws. 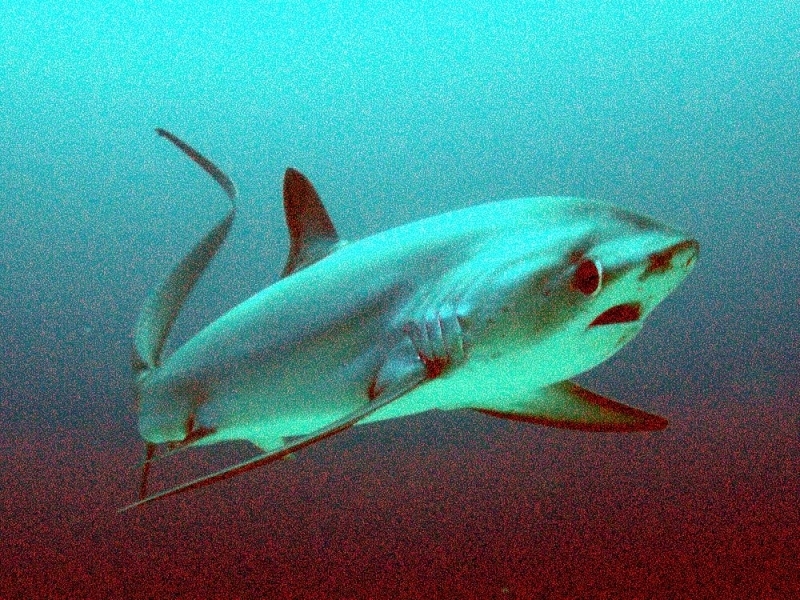 Their color varies from metallic-brown to blue on their dorsal (upper) sides and white on their ventral (under) sides. 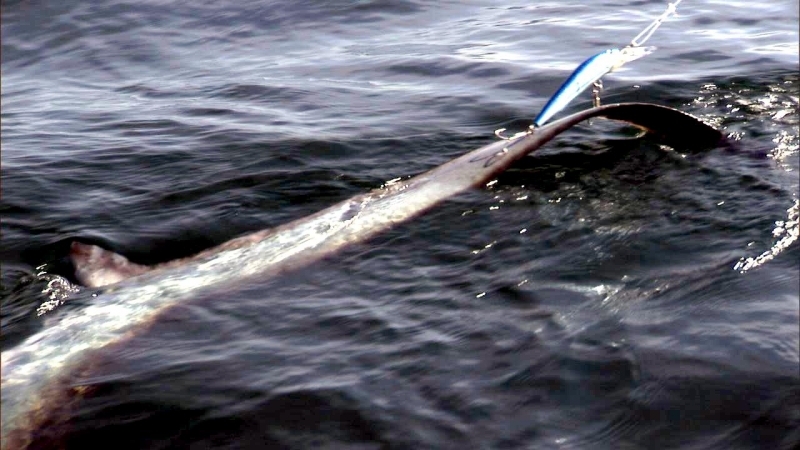 They range from 2.5-7.6 meters in length (7.6 meters max length for males, 5.5 meters max length for females). 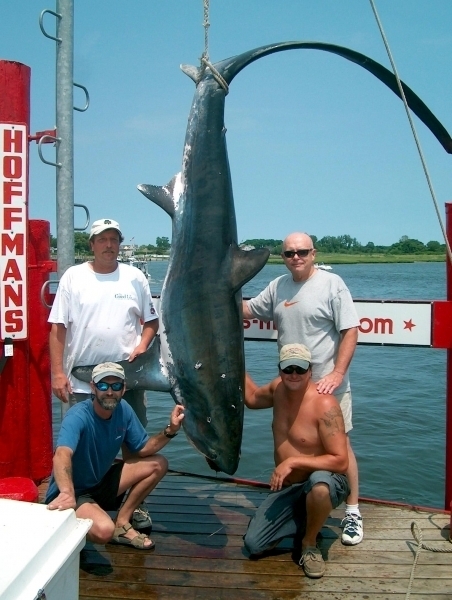 Their max published weight is 348 kilograms. 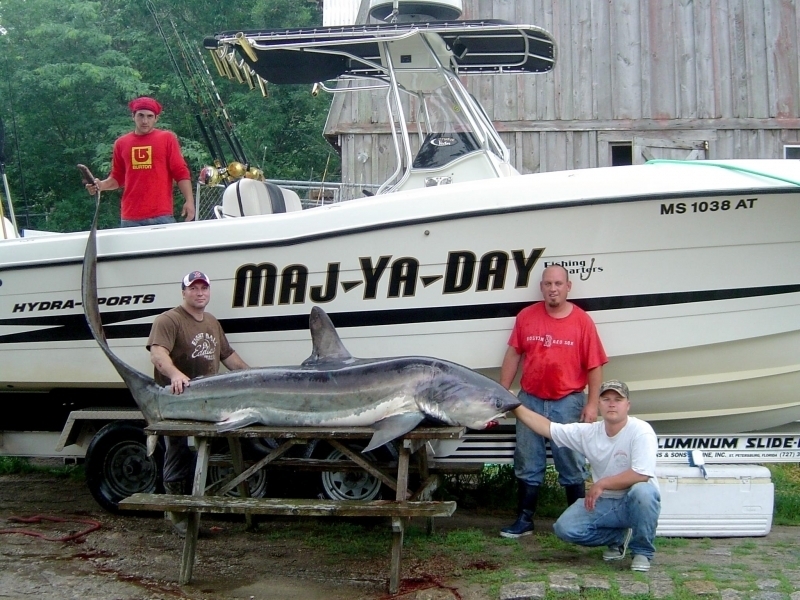 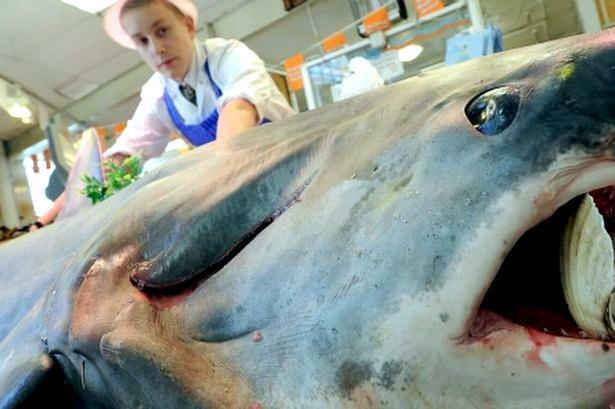 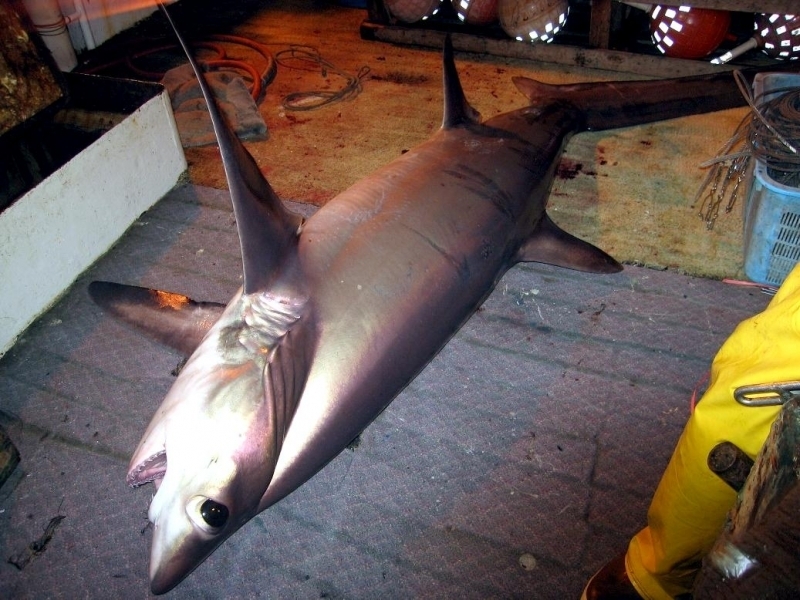 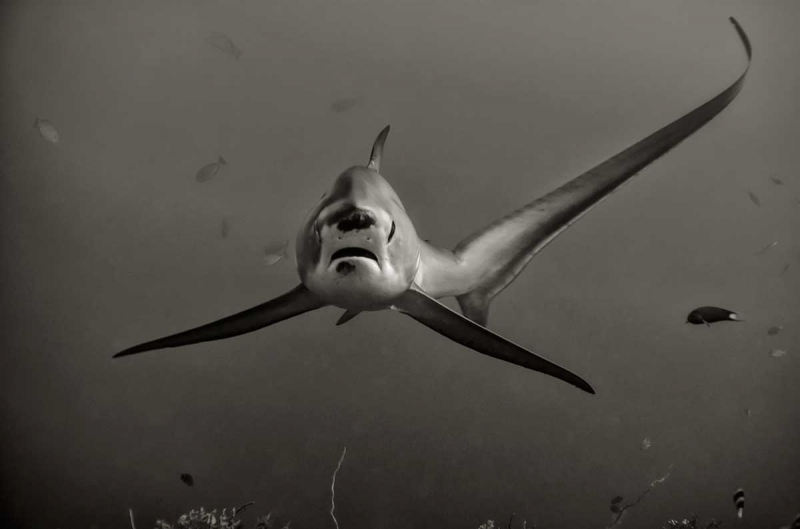 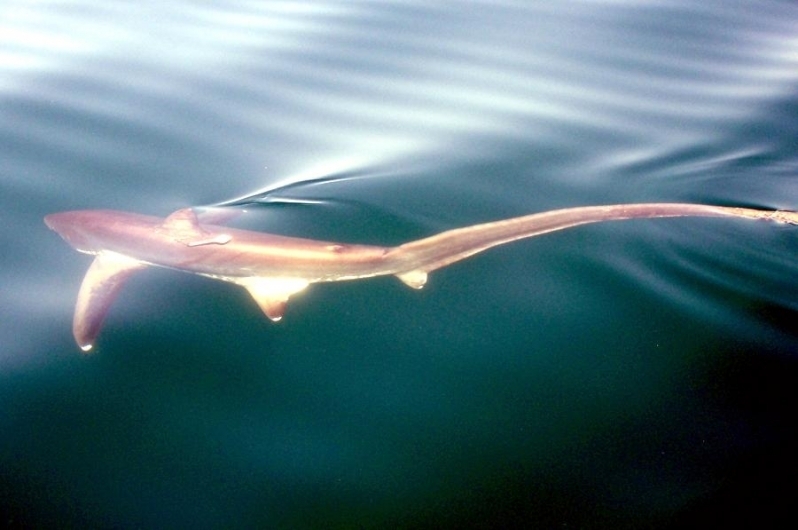 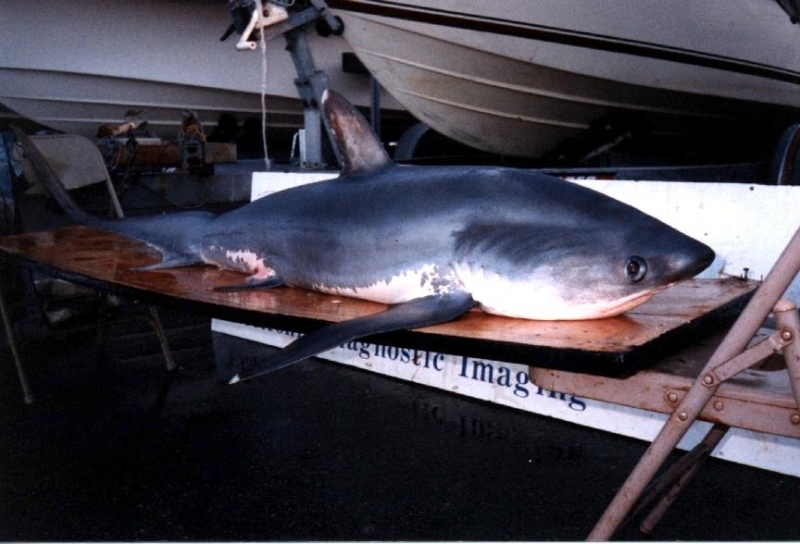 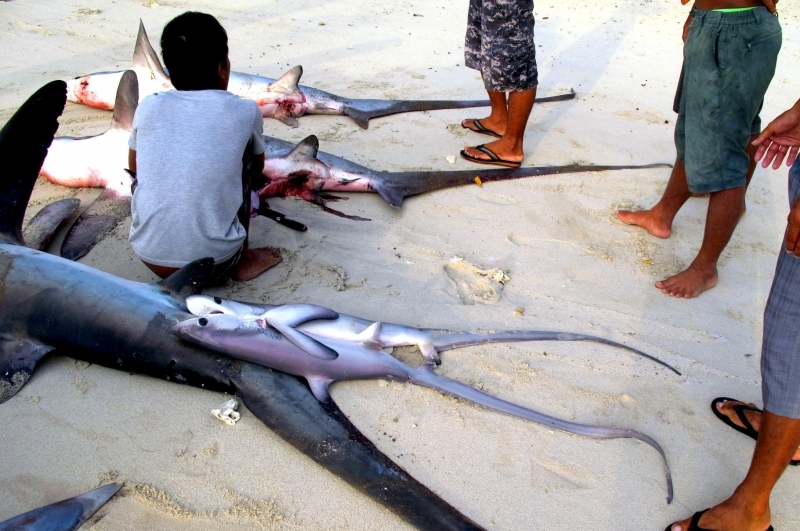 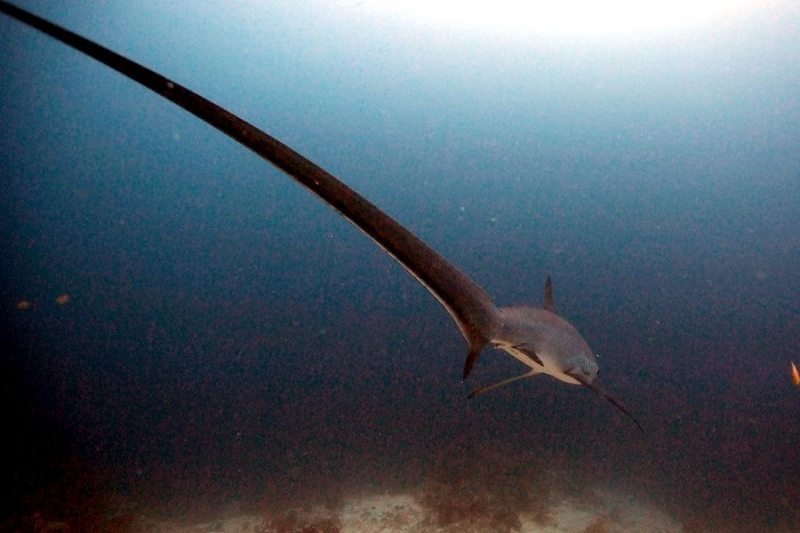 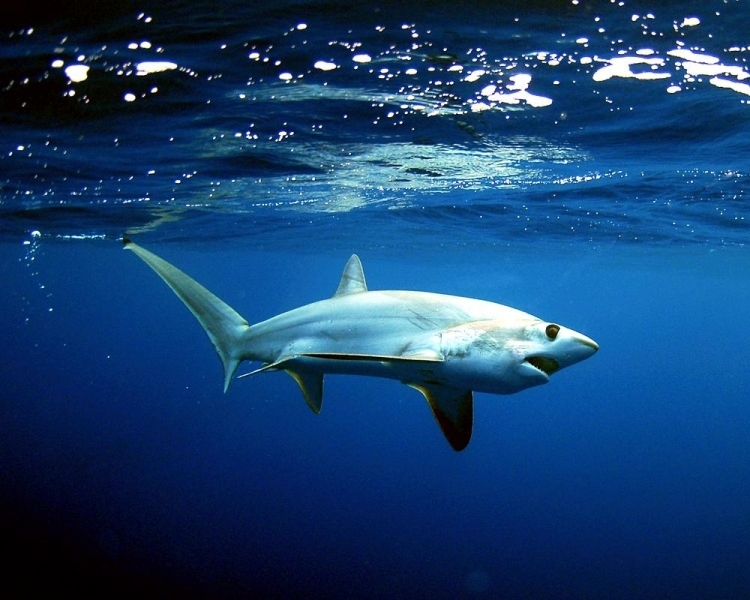 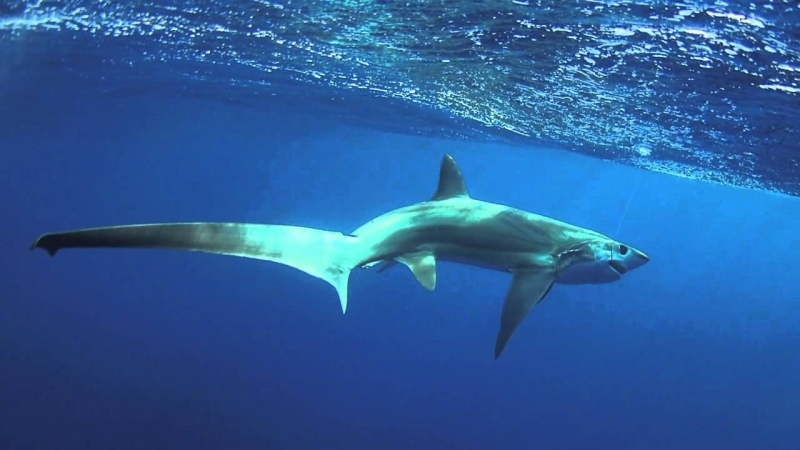 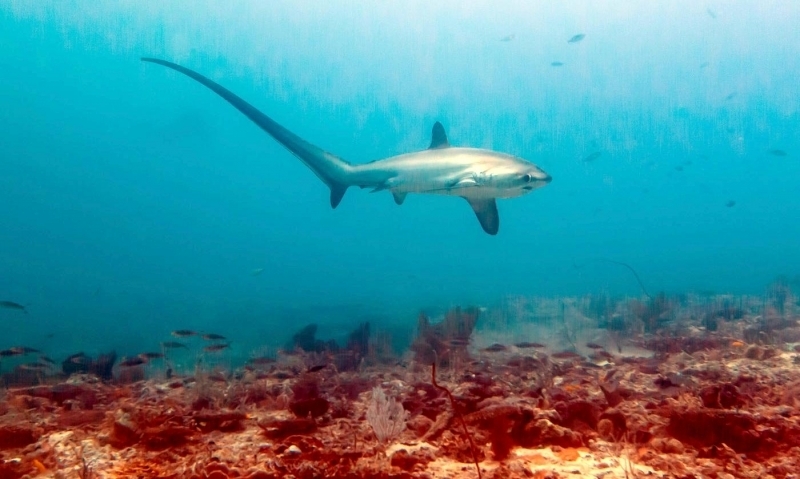 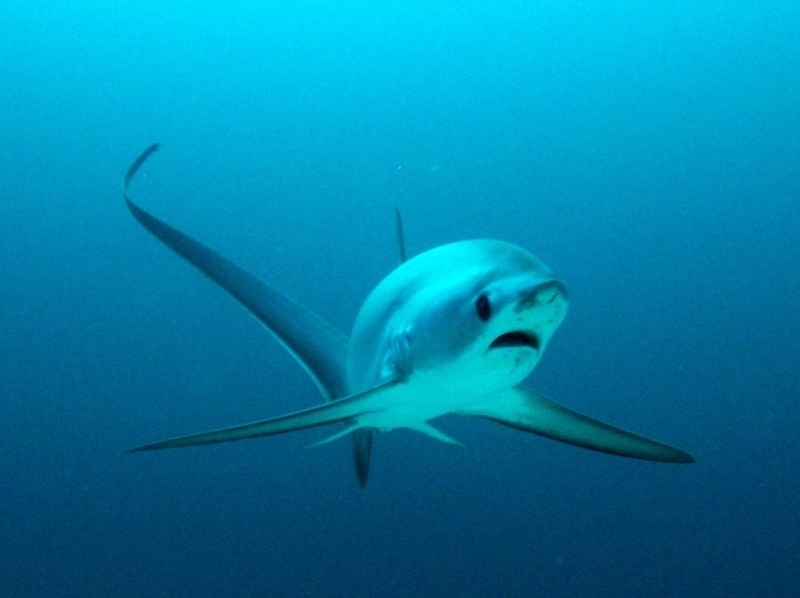 Thresher Sharks inhabit warm & temperate waters worldwide. 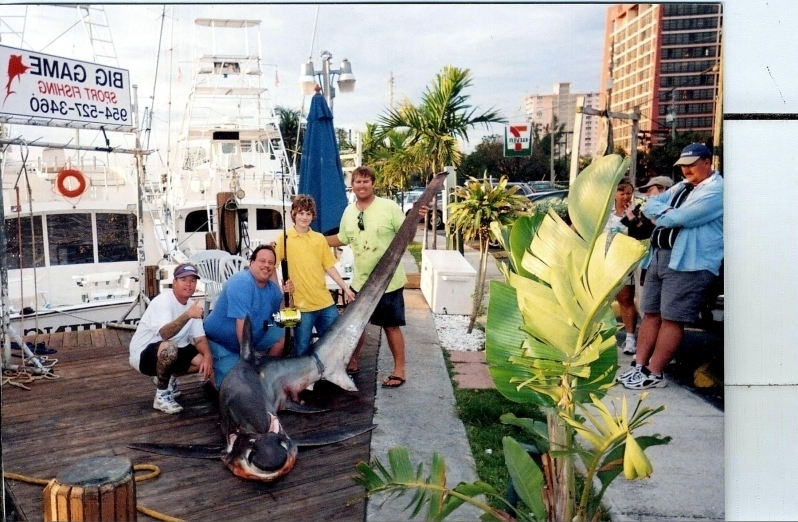 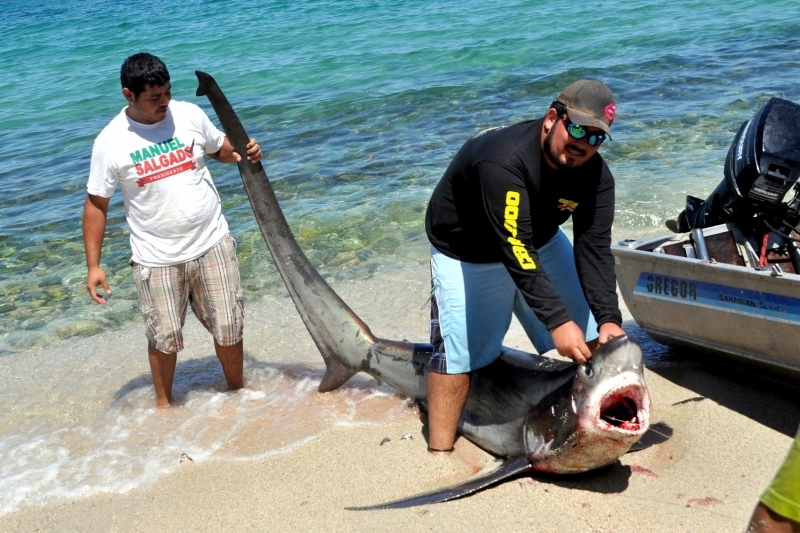 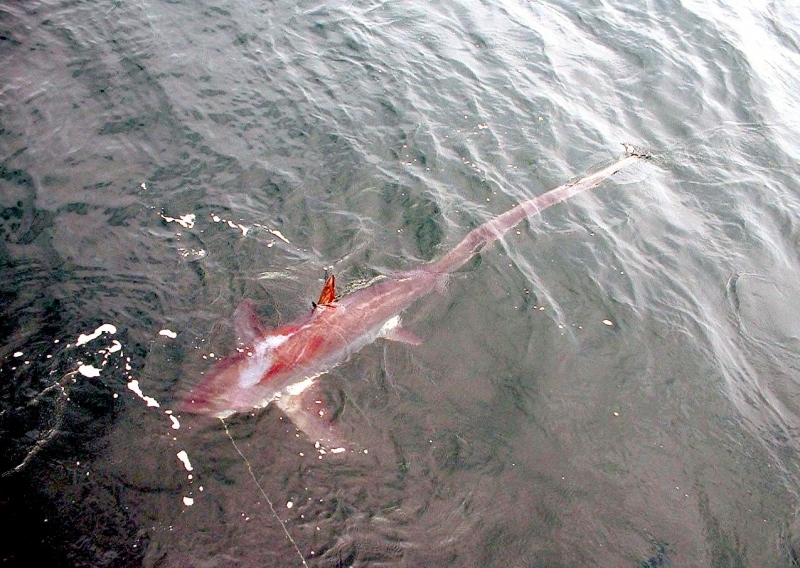 Juvenile Threshers are often found close inshore and in shallow bays. 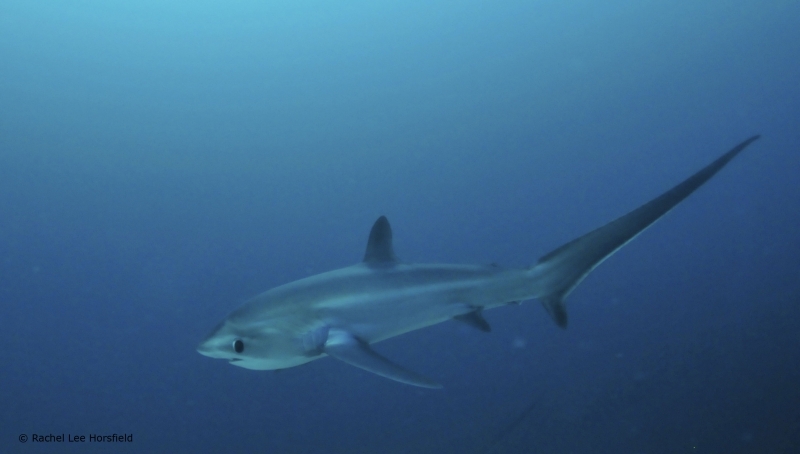 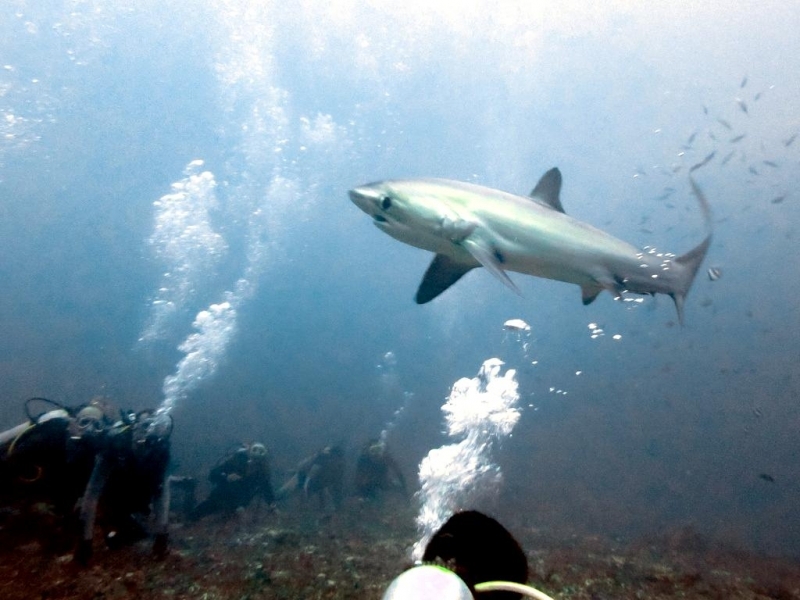 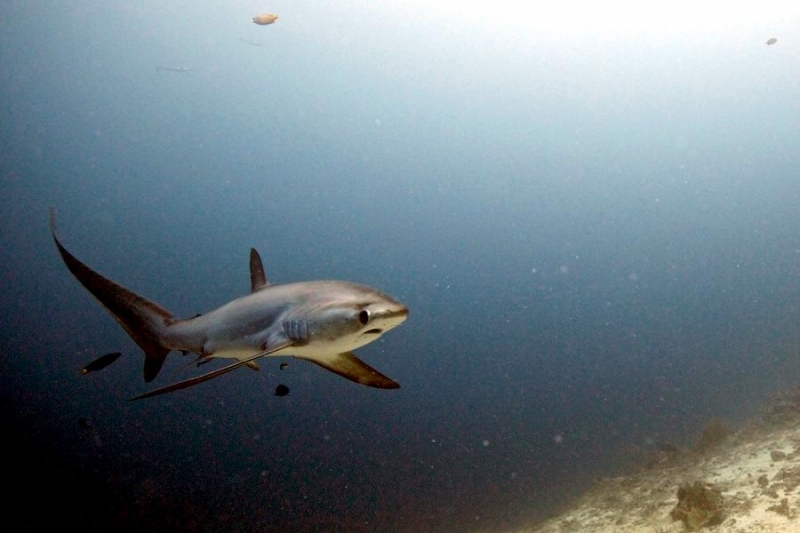 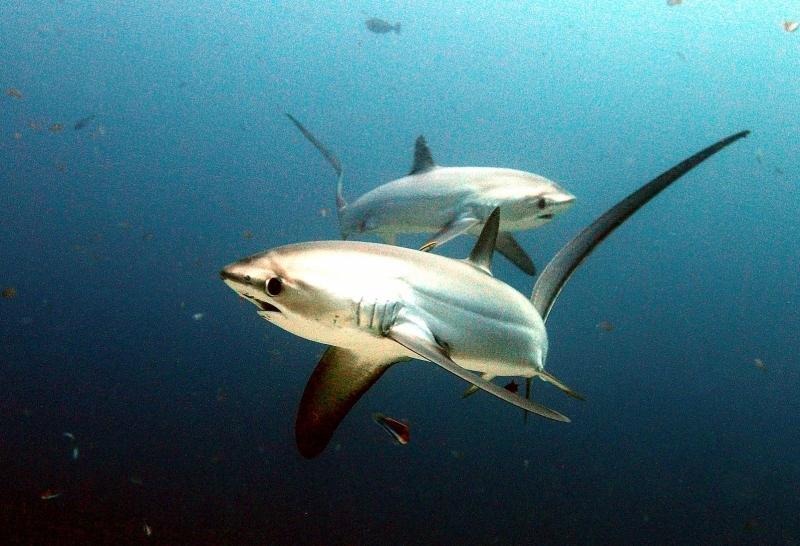 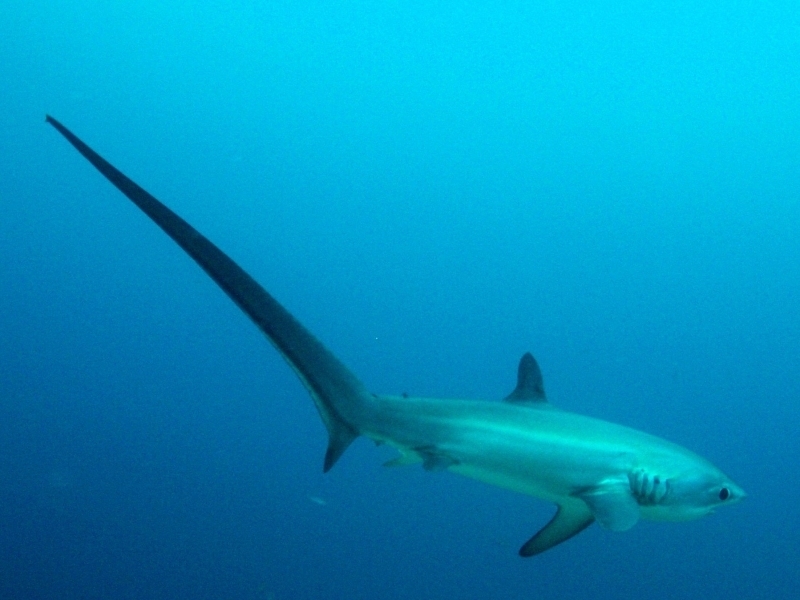 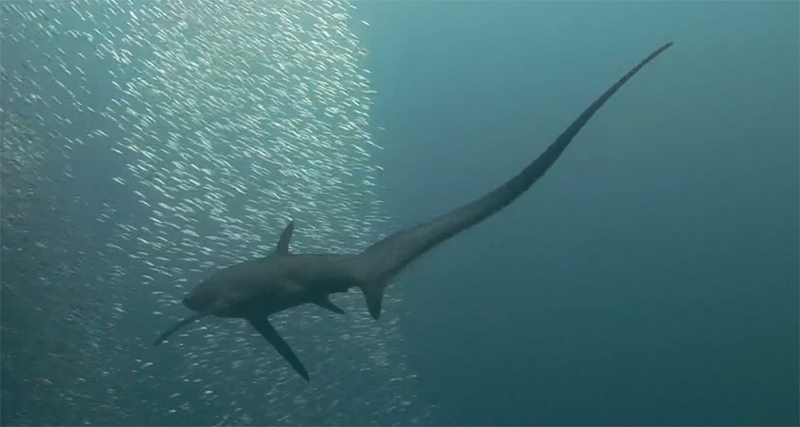 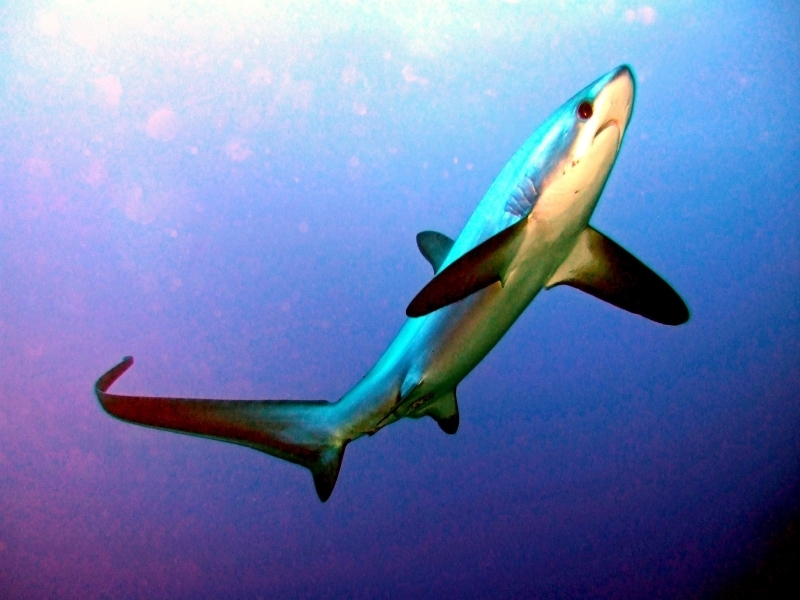 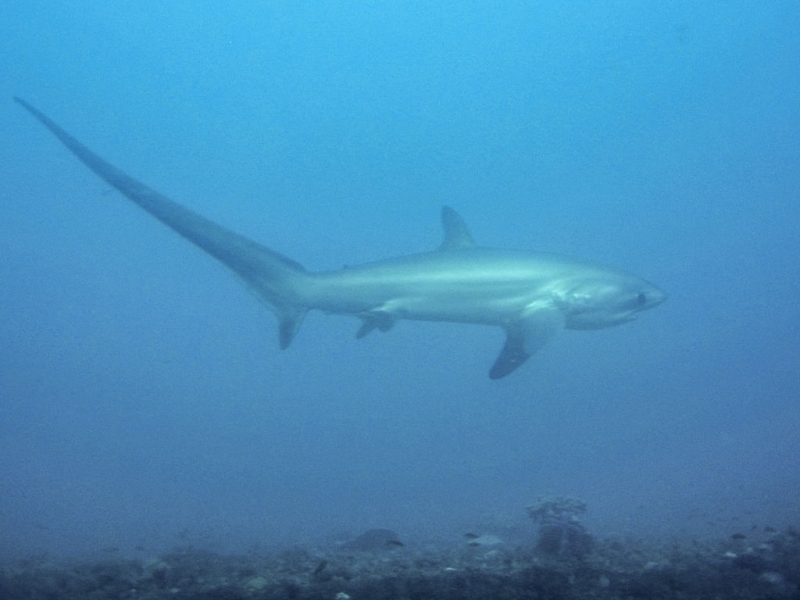 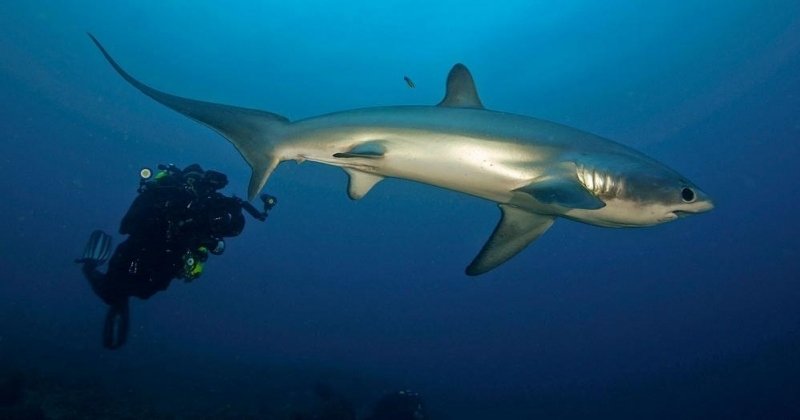 Thresher Sharks feed on squid, octopuses, crustaceans and small schooling fish. 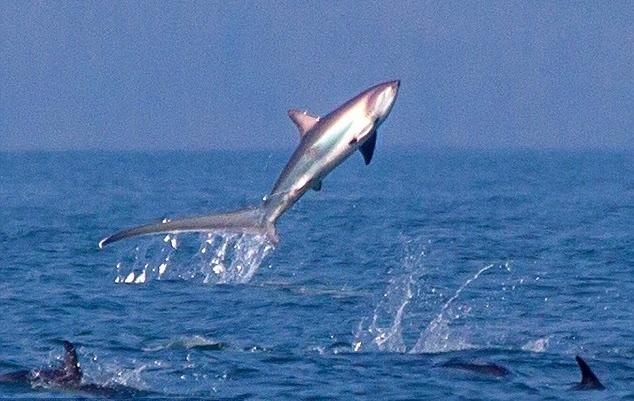 They are also thought to stun prey with blows from their powerful tails. 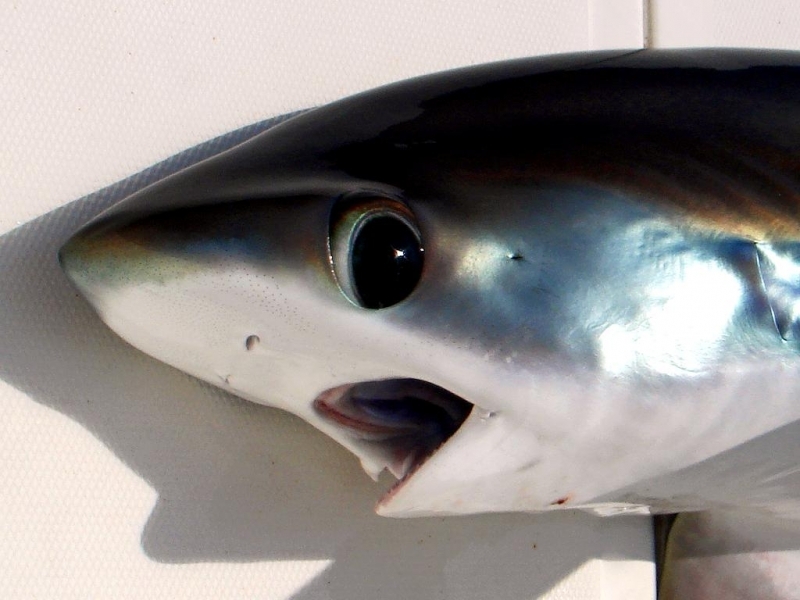 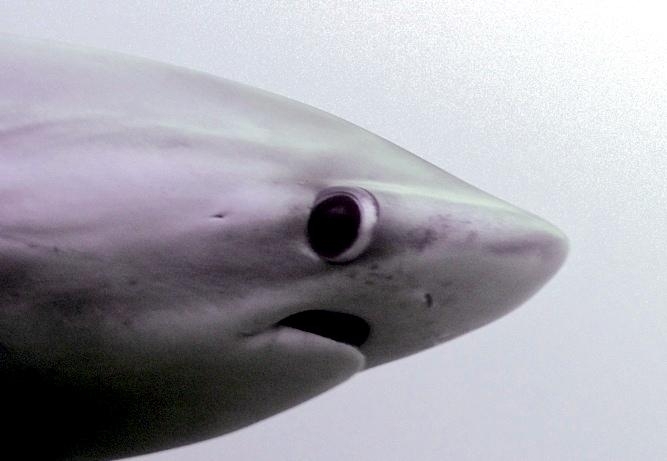 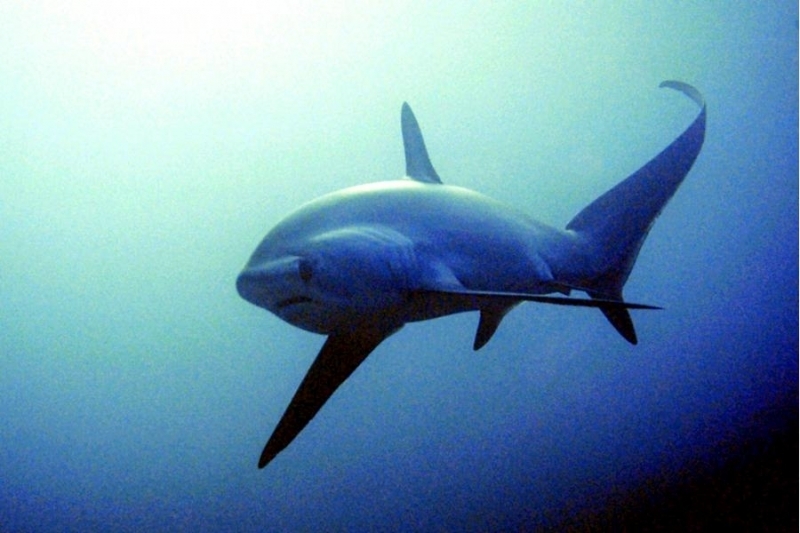 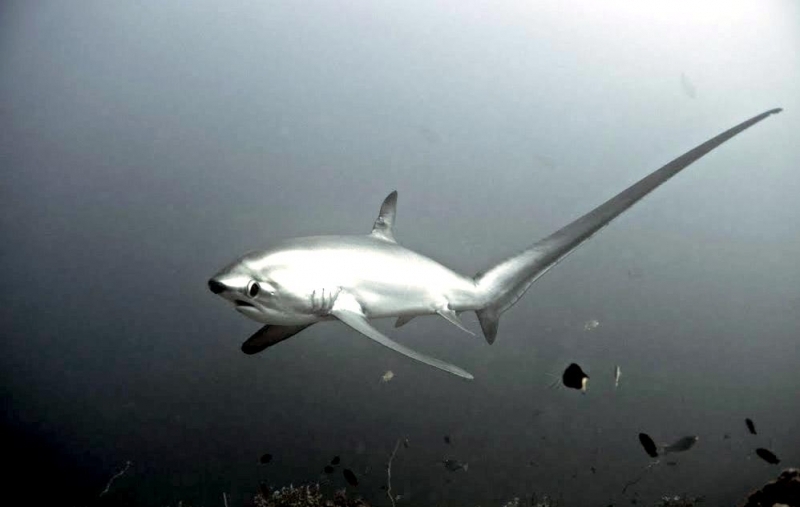 Thresher Sharks are ovoviviparous. 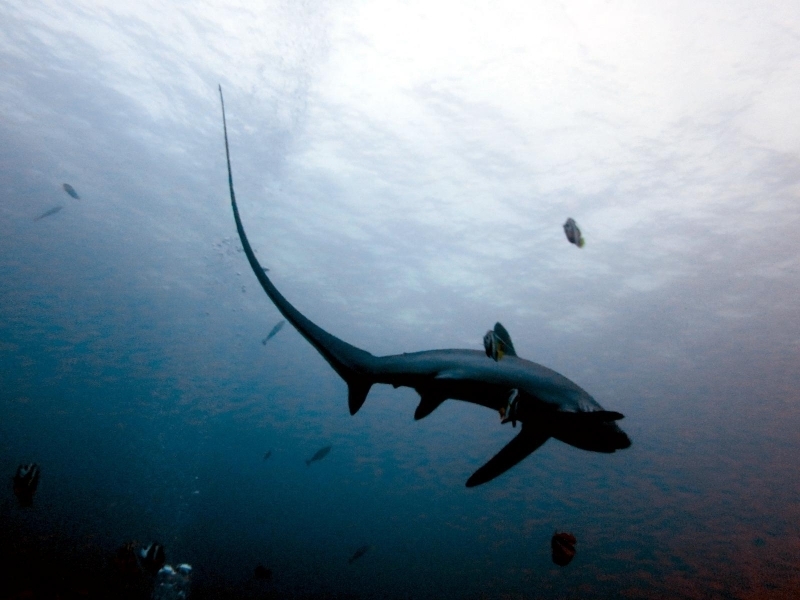 Males reach sexual maturity at 2.7 meters, females at 3 meters. 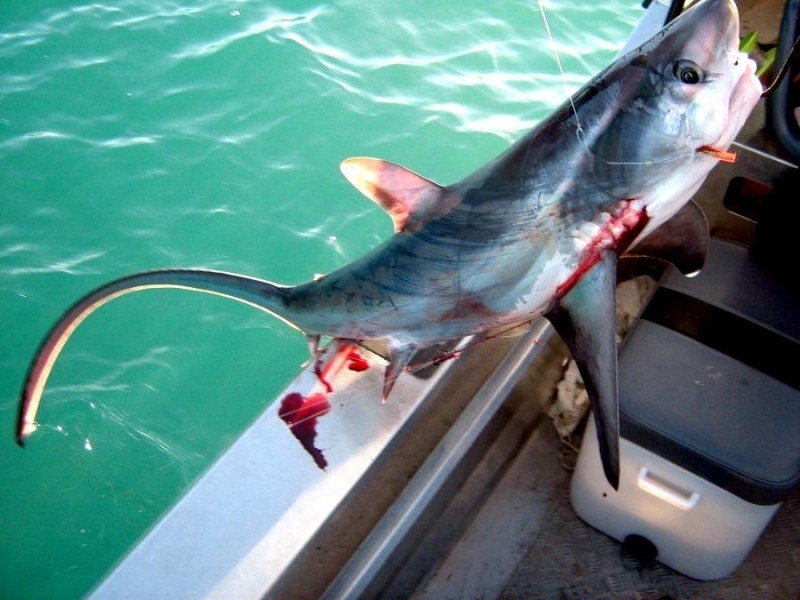 Litters usually consist of 4-6 pups measuring between 1.37-1.55 meters in length and weighing between 5-6 kilograms at birth. 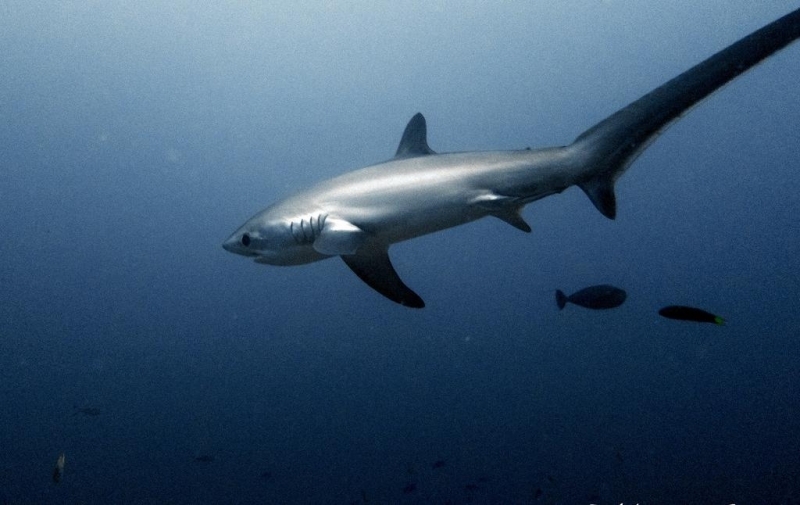 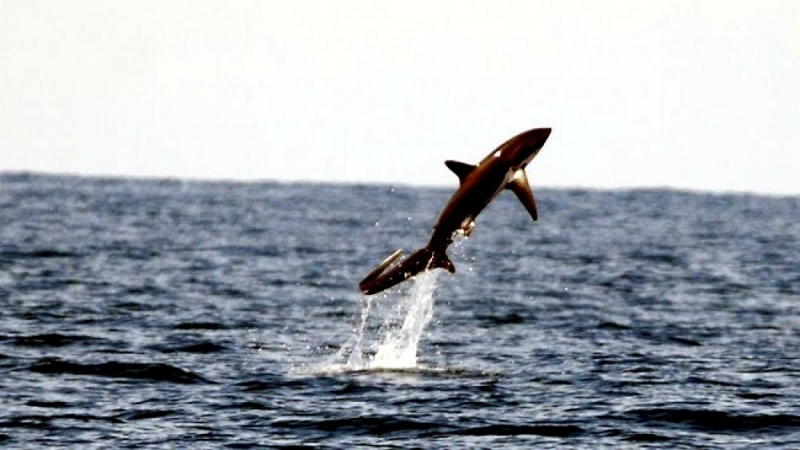 Thresher Shark pups have a fast growth rate and are born in open water. 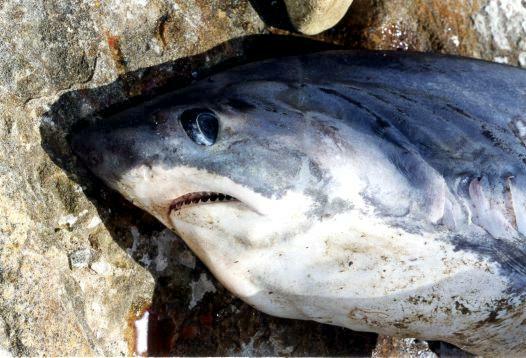 The eggs are retained within the body of the female in a brood chamber where the embryo develops, receiving nourishment from a yolk sac. 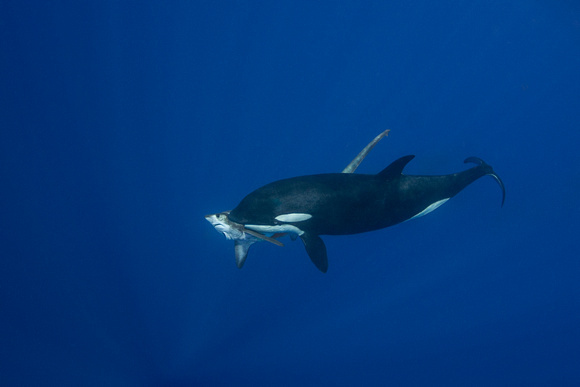 This is the method of reproduction for the “live-bearing” fishes where pups hatch from egg capsules inside the mother’s uterus and are born soon afterward. 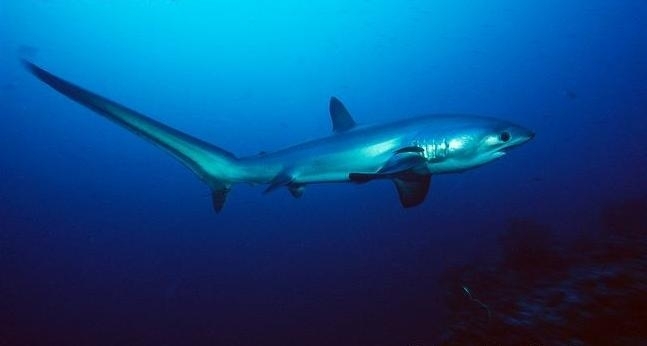 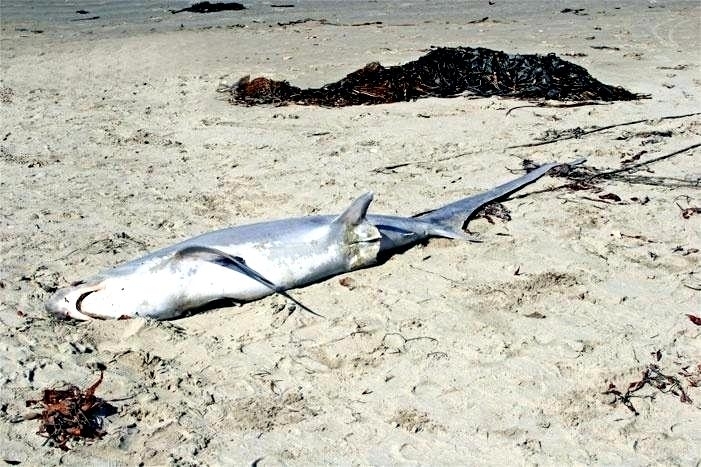 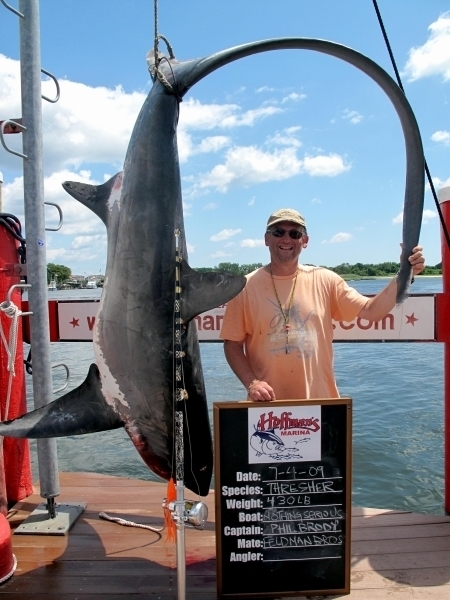 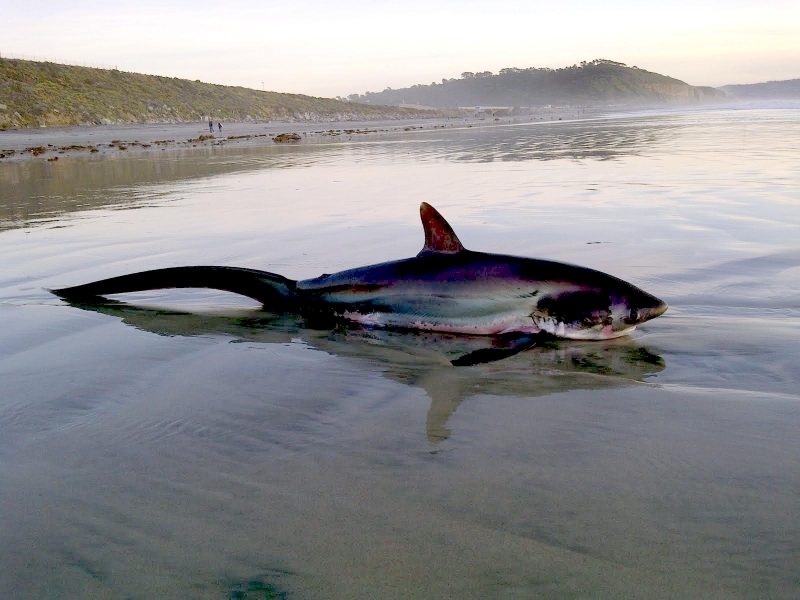 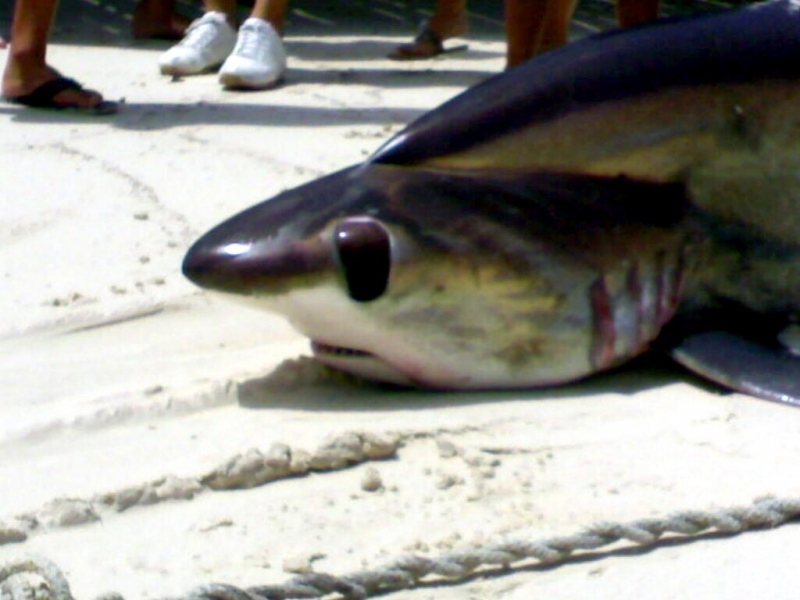 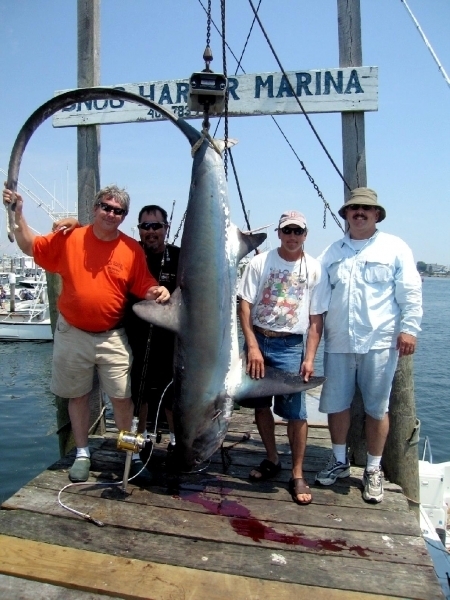 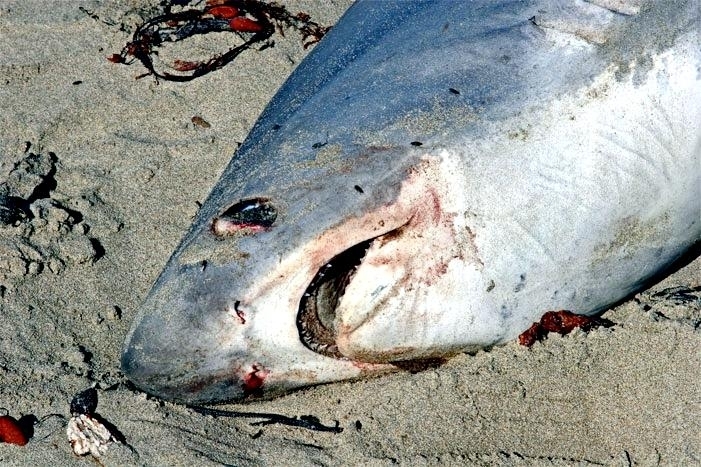 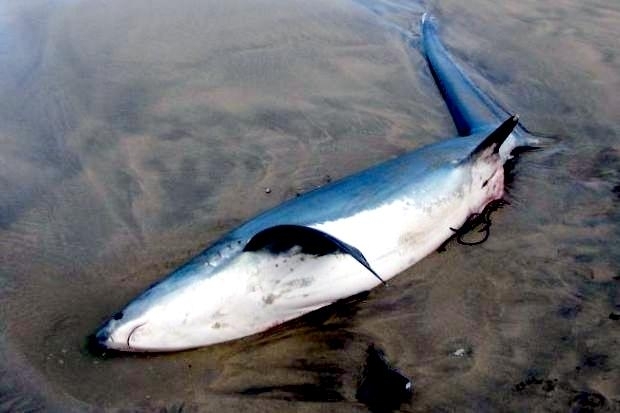 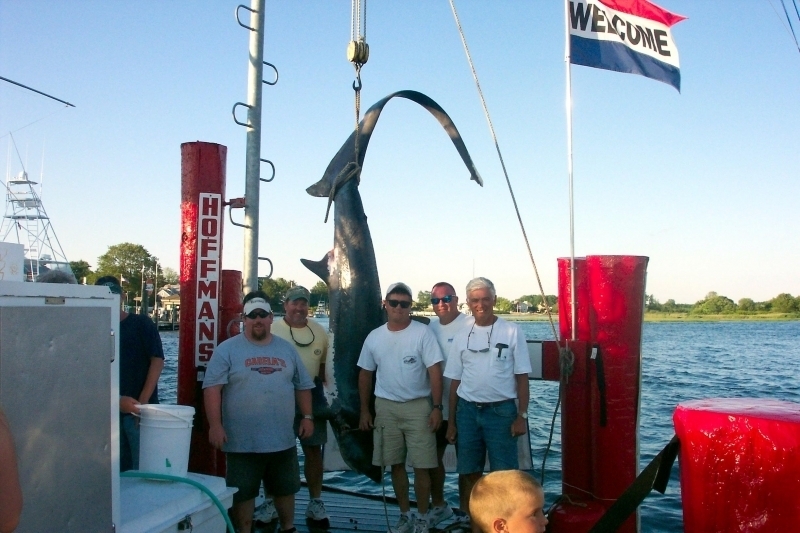 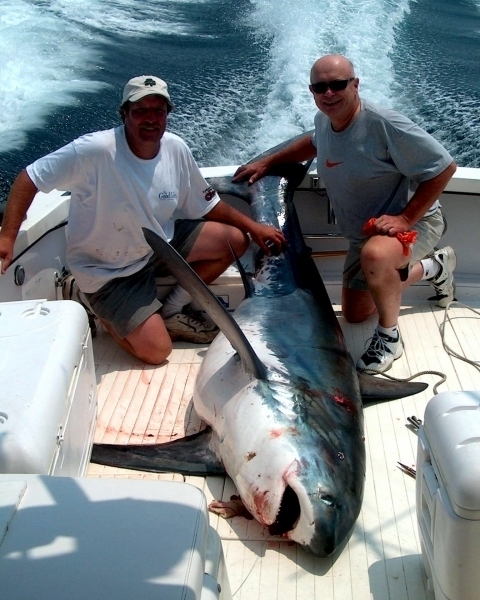 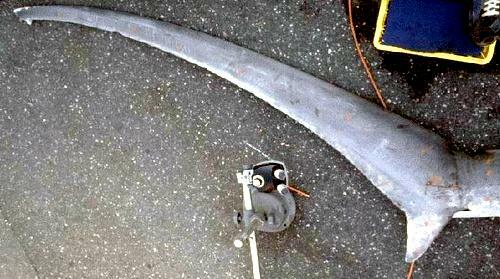 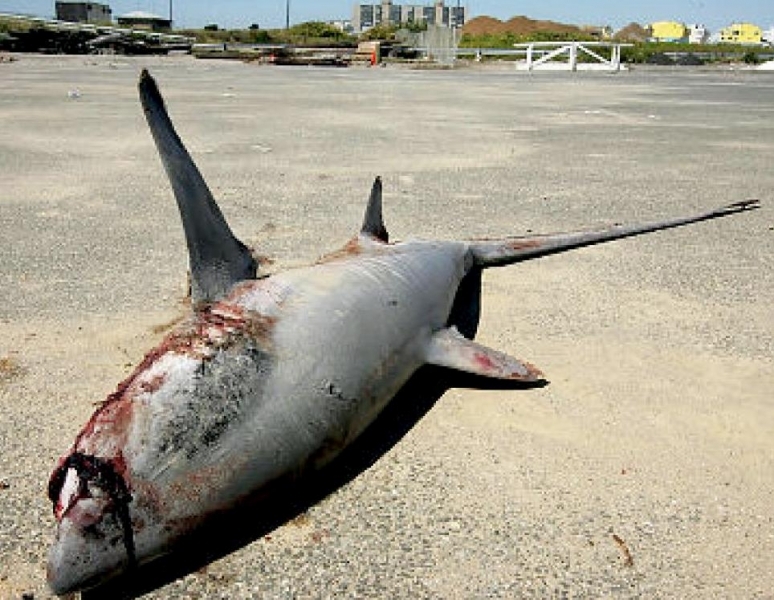 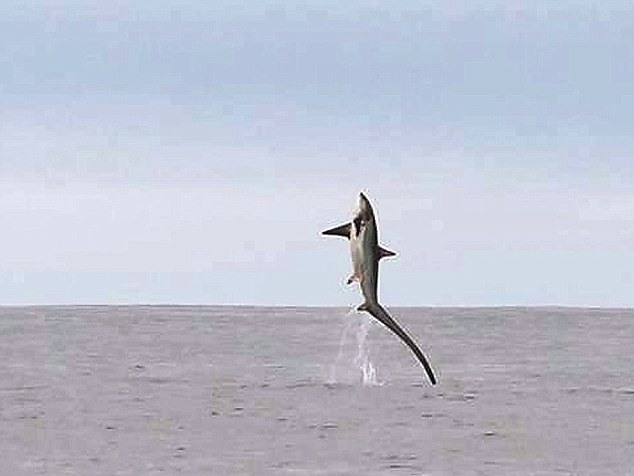 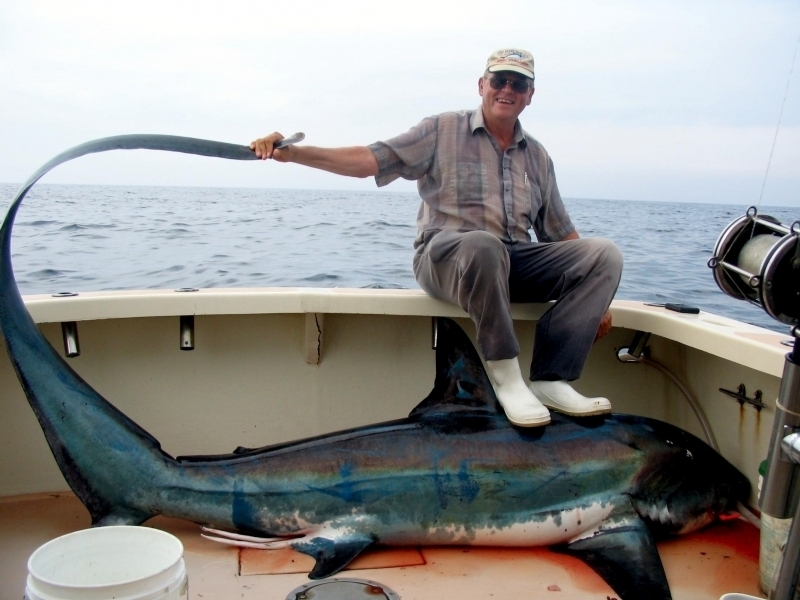 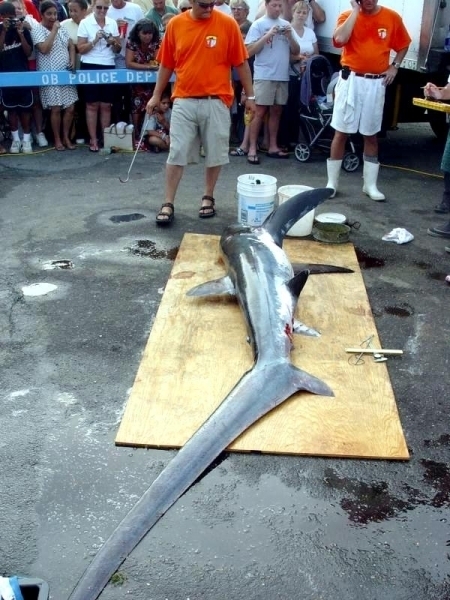 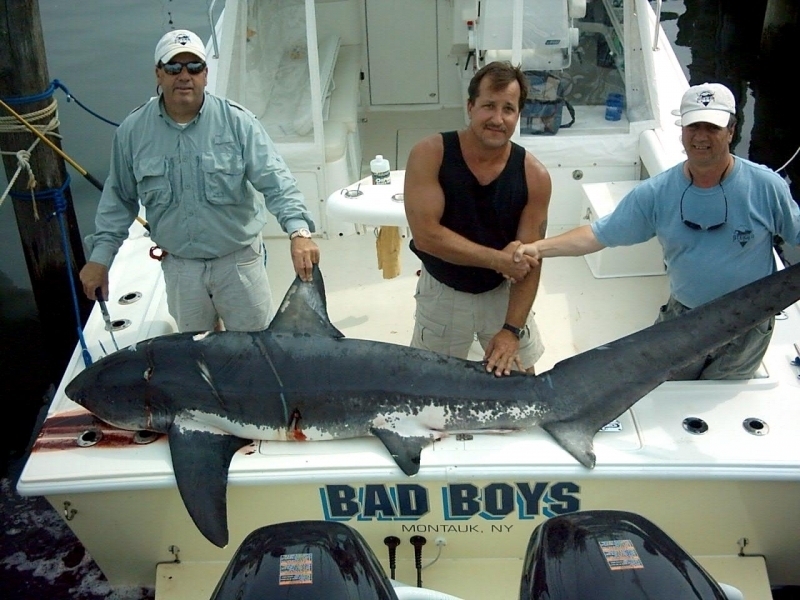 Thresher Sharks are considered harmless to humans.